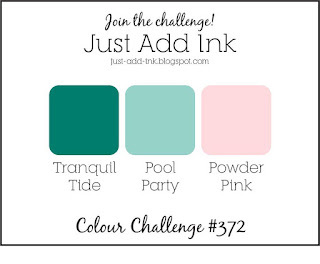 Just Add Ink # 374....Winners!!! Hi Everyone, we had a very interesting Inspiration picture to work with this week and it was so great to see all the different ideas that you came up with. Thank you for playing along with us! 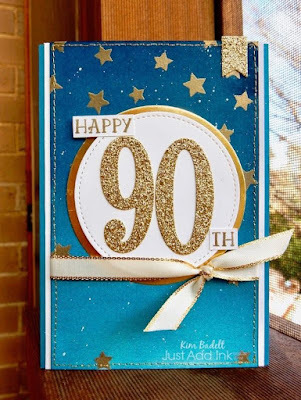 It is now time to announce our Winners. 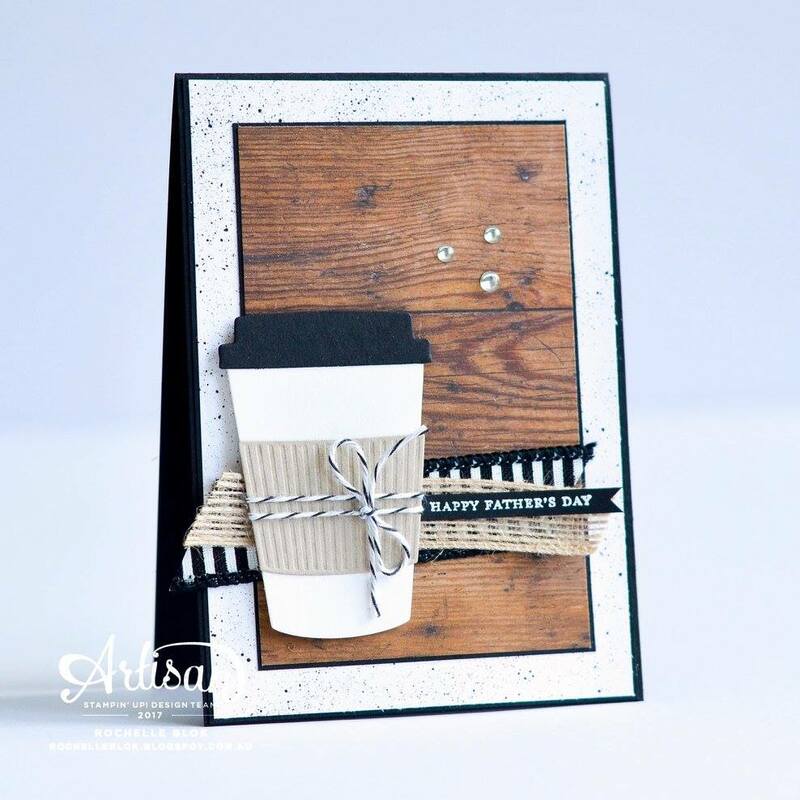 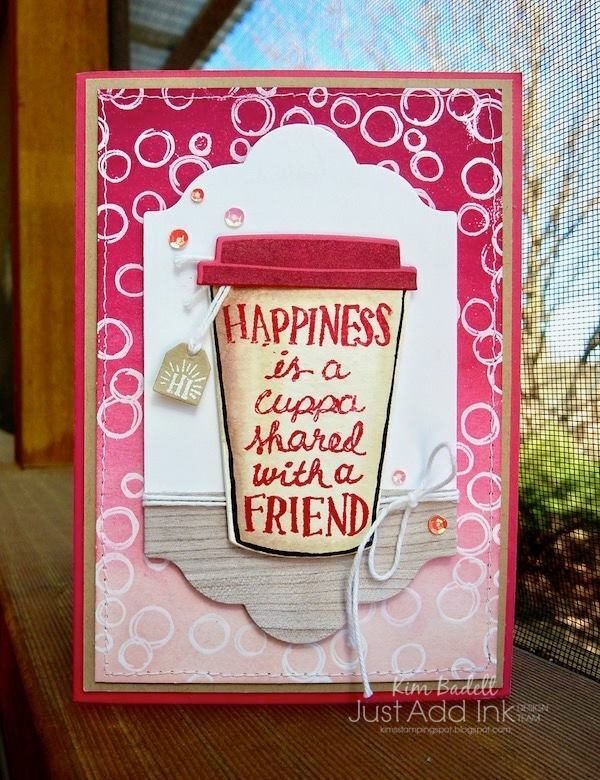 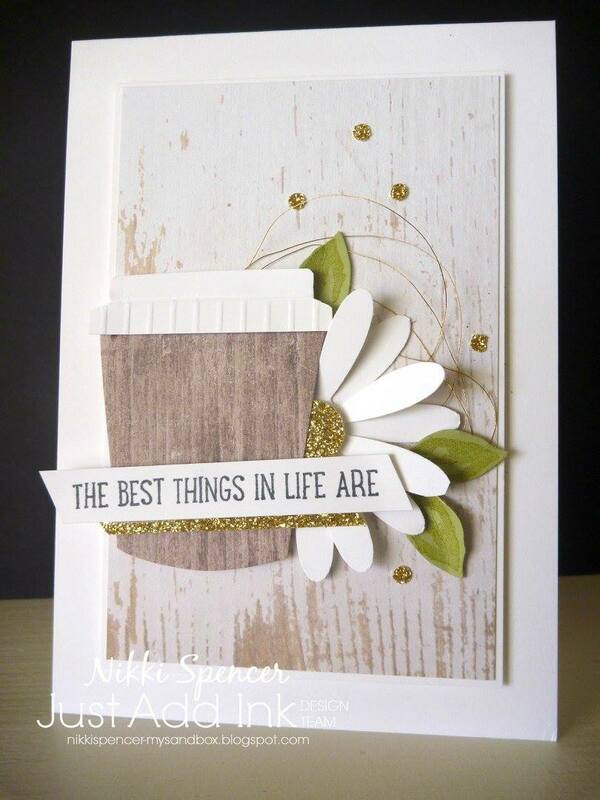 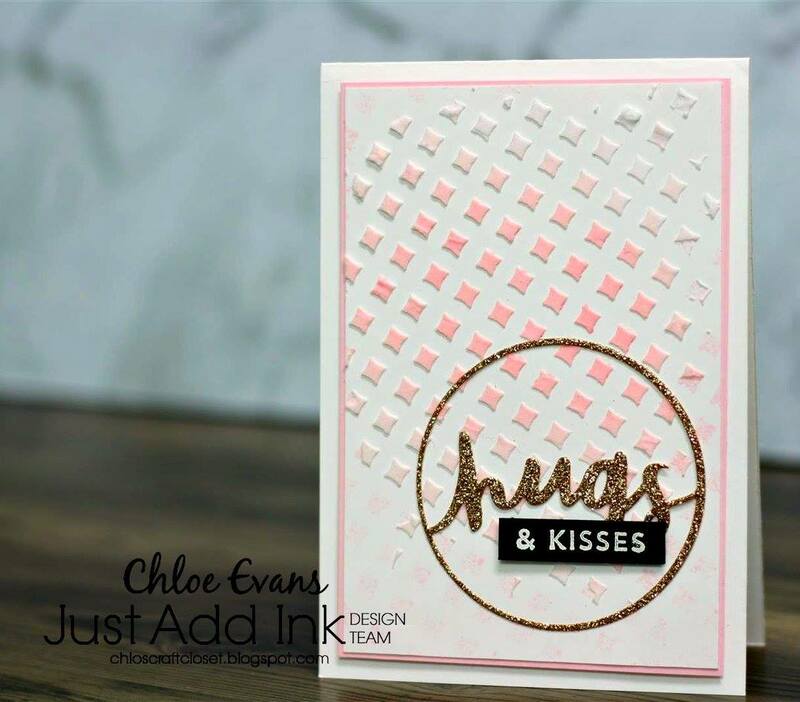 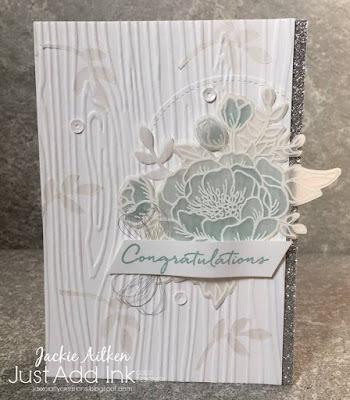 "Wonderful mix of patterned papers on this beautiful neutral-toned card"
"Fabulous mix of patterned papers creates a stylish and textured coffee themed card that looks great!" 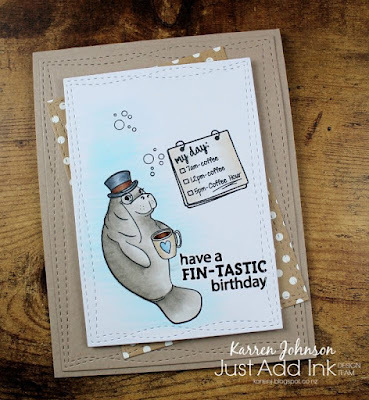 "The circular theme details are such a striking design element"
"Cute, Koala themed card, great colouring, loved the detailed borders"
"Too cute for words - and the sentiment just makes me giggle"
"Her Koala is adorable and so beautifully coloured!" 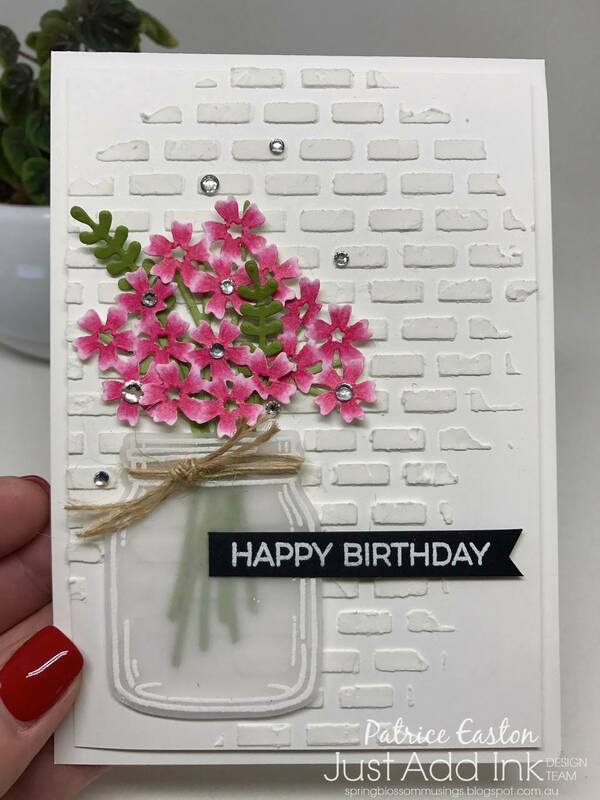 "Love the clean design and cute vase element"
"Lovely subtle use of the pic colours"
"Love the CAS design used with neutral tones. 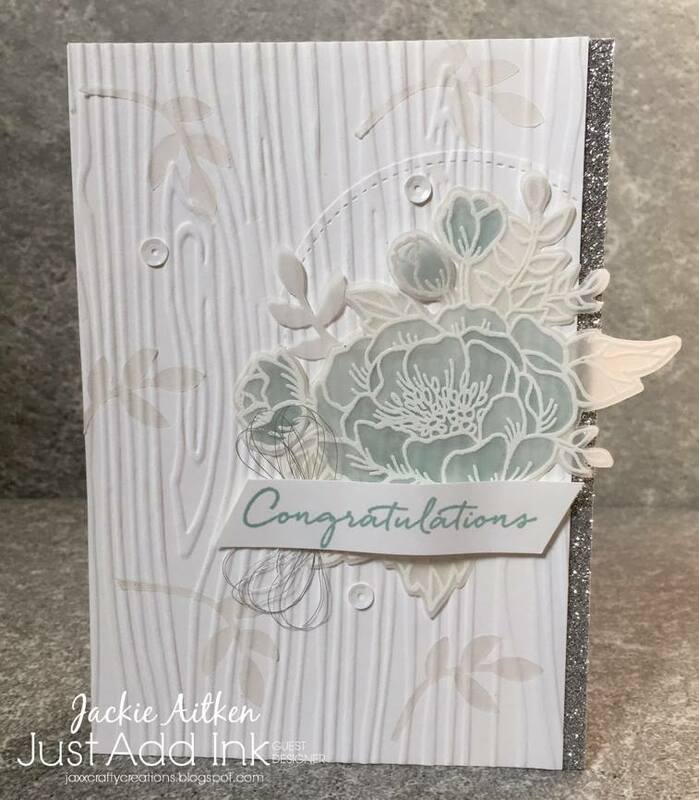 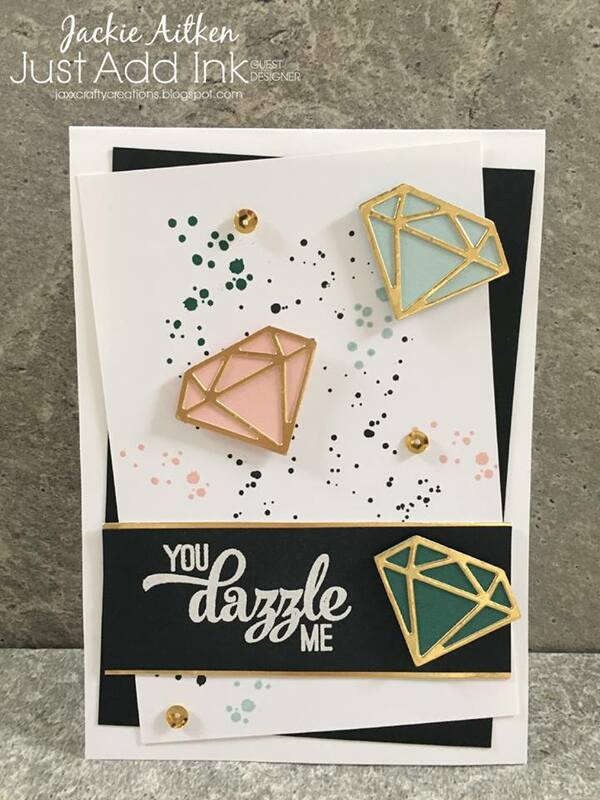 The layered cluster is gorgeous"
Just before we get to this week's challenge we would like to take a moment to say a fond farewell to Karren Johnson. 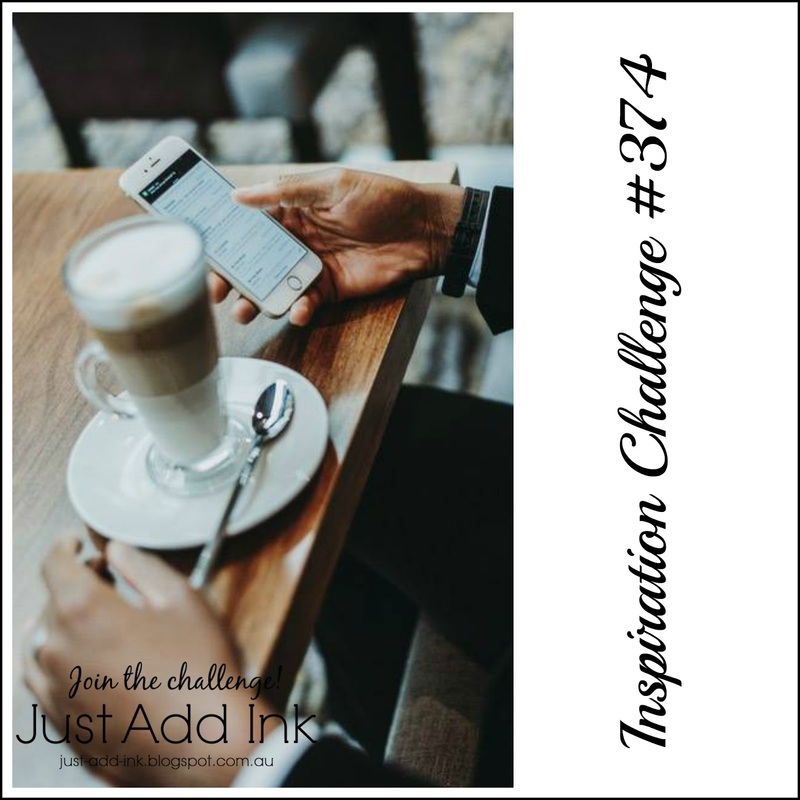 This week we have a fun Inspiration Photo for you suggested by Jan. You can take whatever appeals to you from the photo - for example the coffee/drinks or phone themes, the textures and colours. 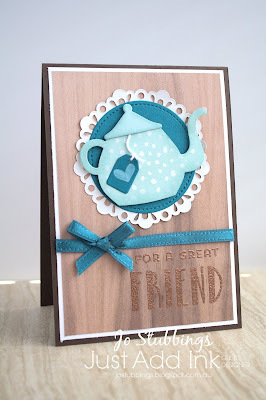 We hope that you will enjoy this challenge and come and share your projects with us. Thanks so much to everyone who played along with our " Just Add a Stencil" challenge this week. 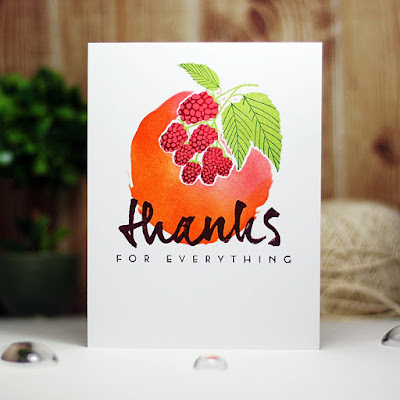 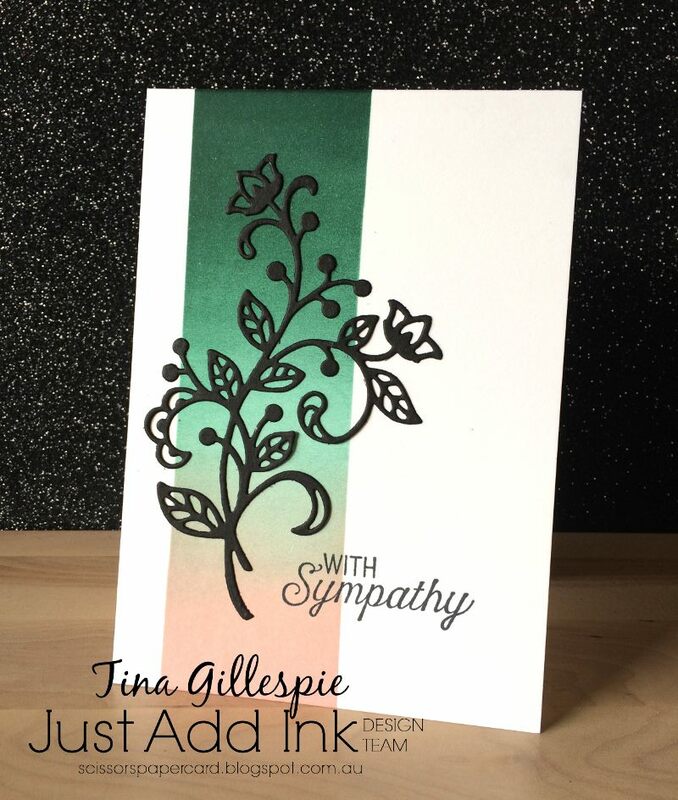 We really enjoyed seeing all the different stencils you have in your collections and the many ways that you used them and you inspired us all with your fabulous projects. The design team votes are in and our "Top Pick" this week goes to Cherie for her beautiful and dreamy card! 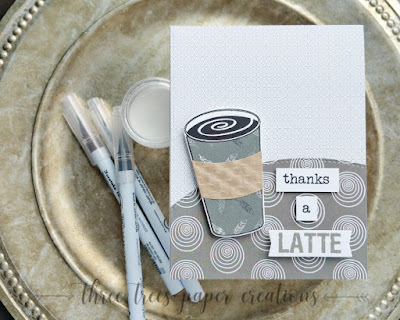 Love the subtle stenciling, lovely texture. Fabulous background effect, a lovely use of stencils. 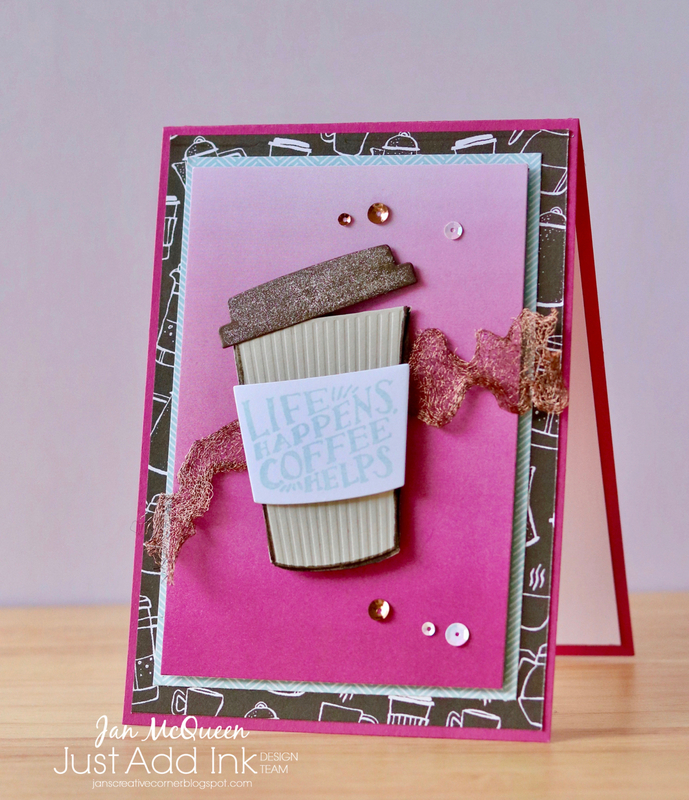 Such a great way to create an interesting and textural background. 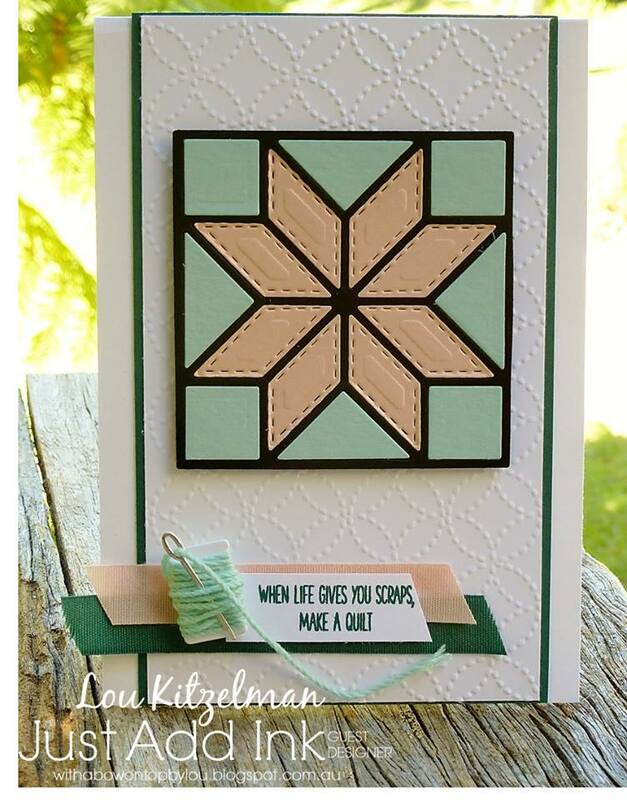 What a sweet Christmas card. 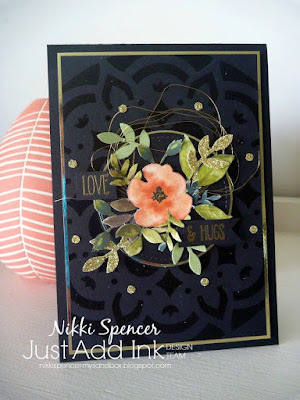 Colouring is perfect, glittery stencil adds a great element. 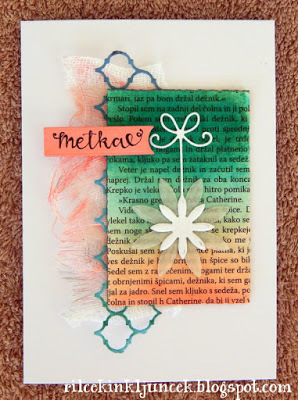 Clever and elegant use of a stencil - love the raised, glittery snow. 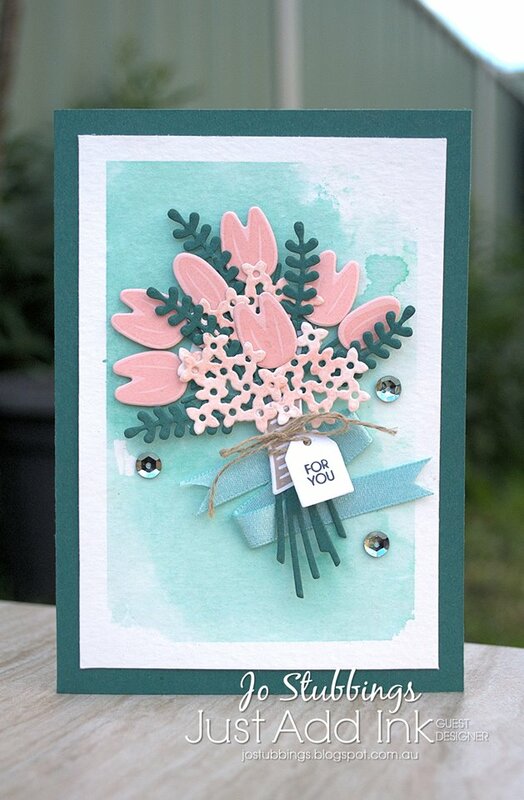 Clean and simple design, love the summery colours with the bold sentiment. 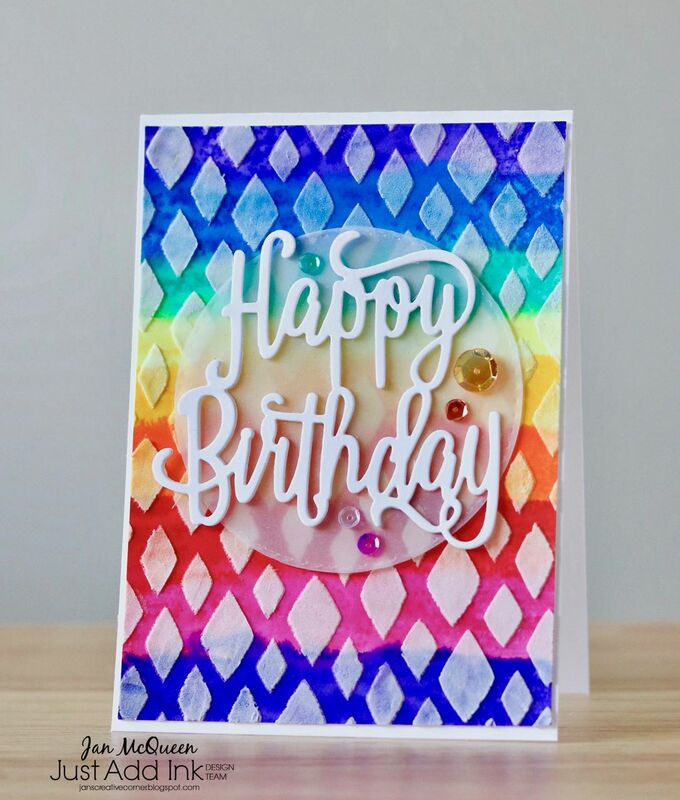 Love the layers of colour in this striking design! welcome to the new Just Add Ink challenge! 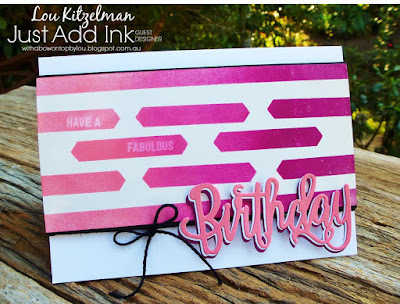 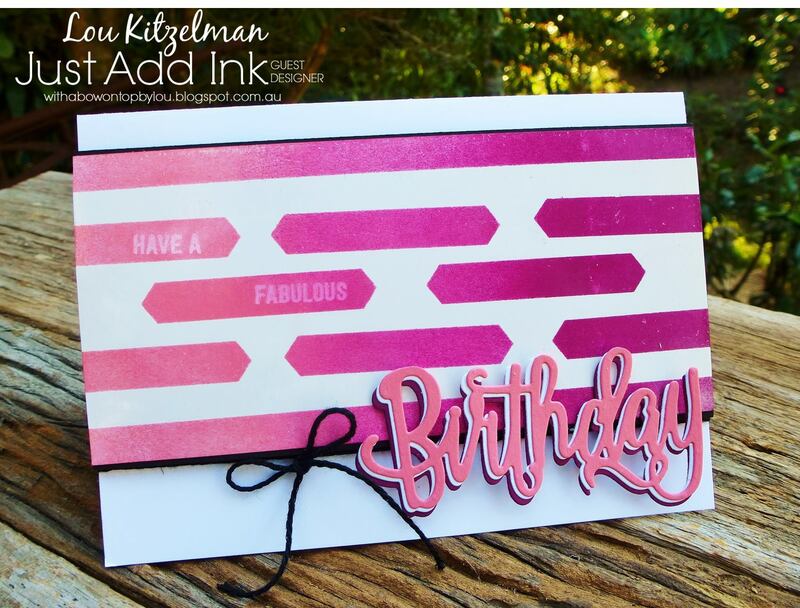 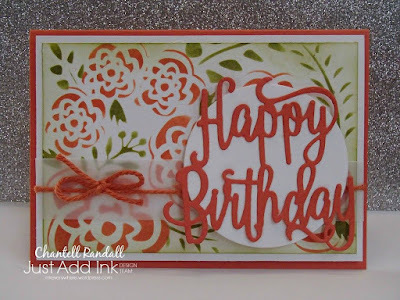 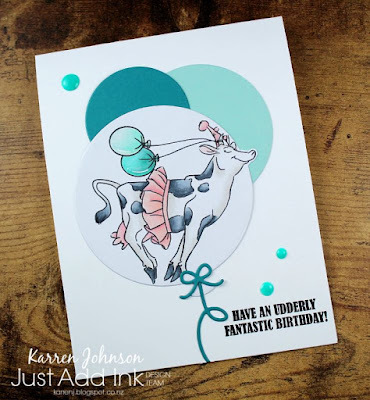 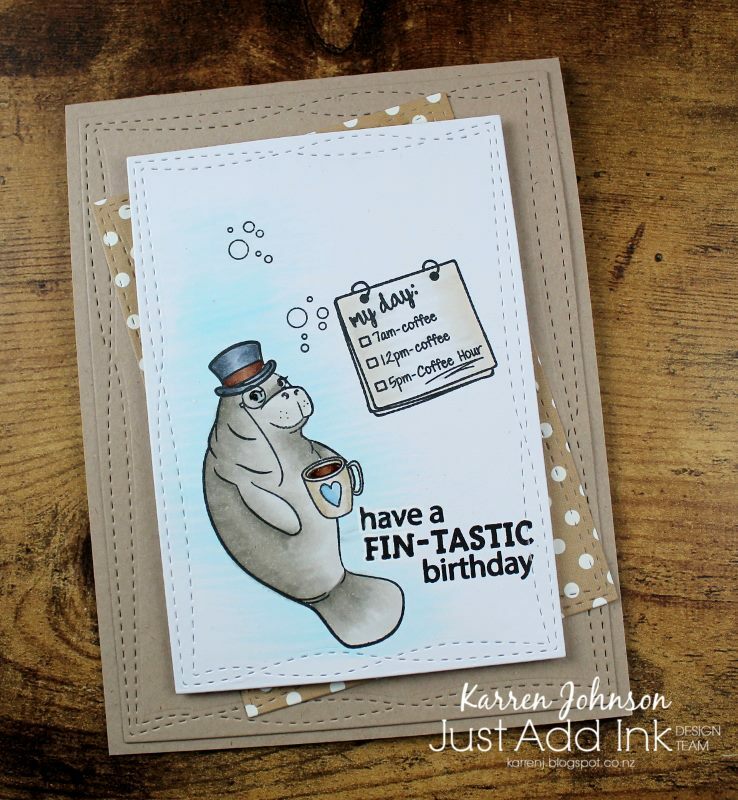 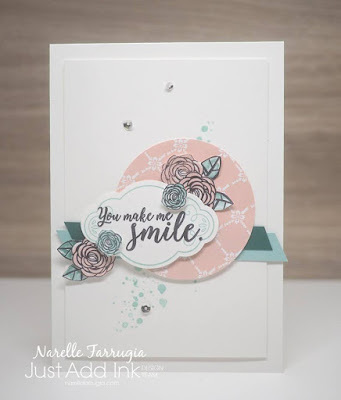 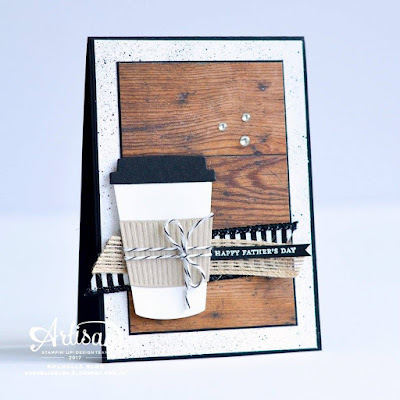 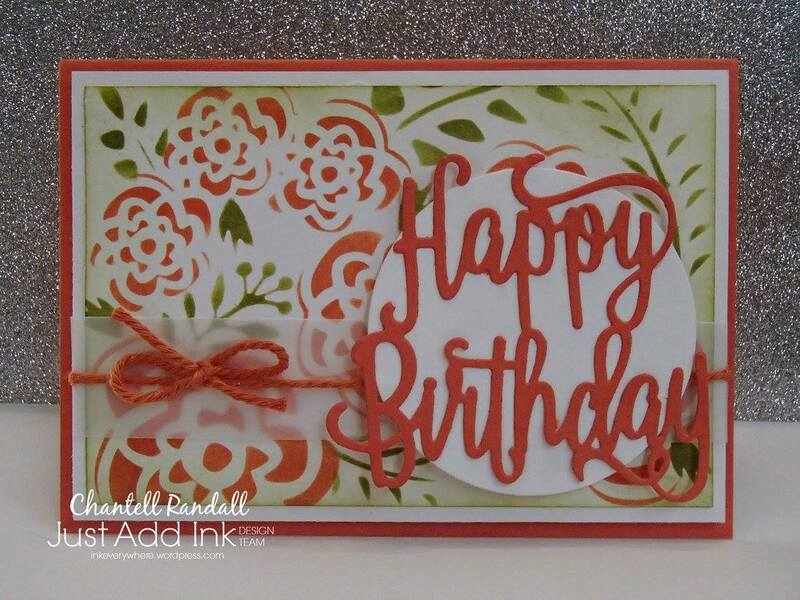 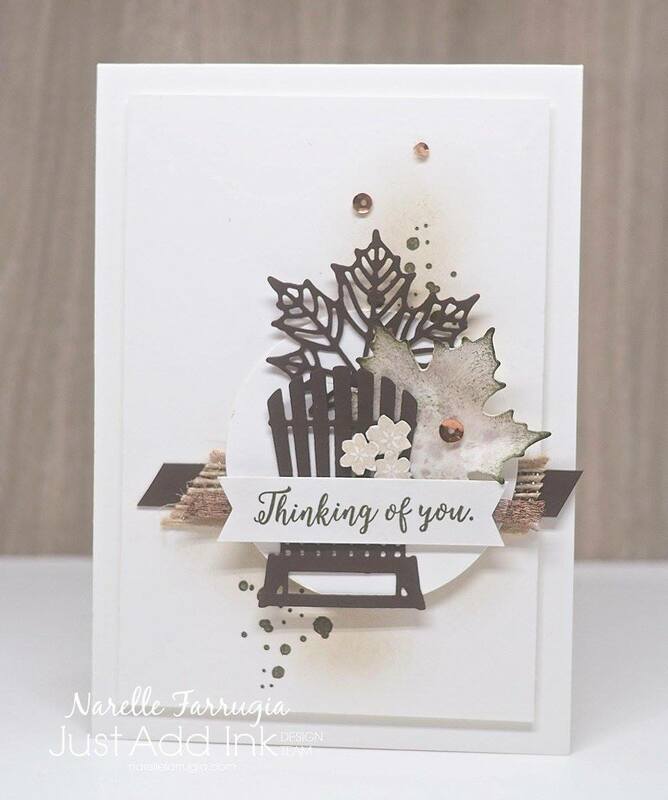 This week we have a fun challenge for all as Karren has asked us to Just Add Stencils. 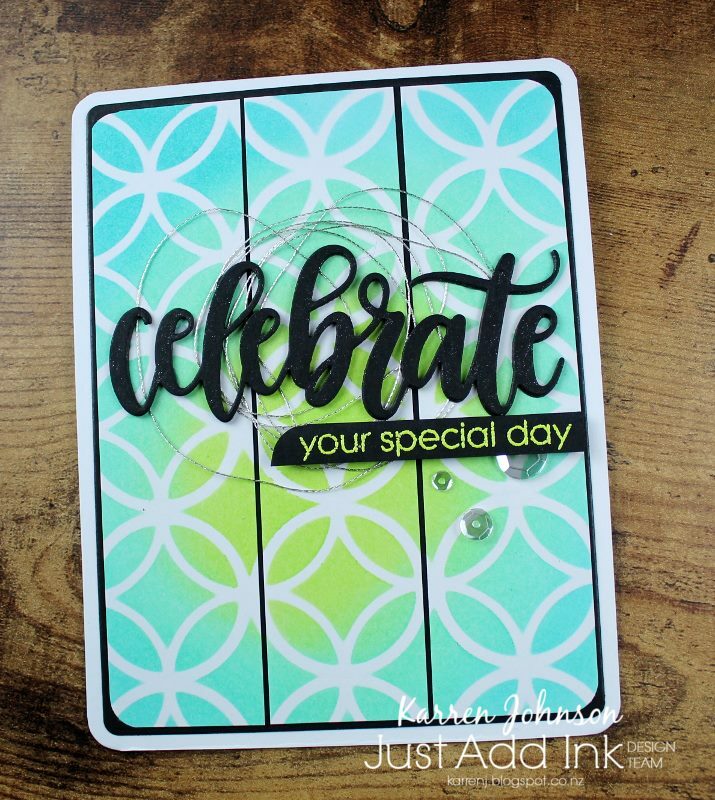 There are so many different ways you can use stencils, with inks, or embossing paste, or even to dry emboss! 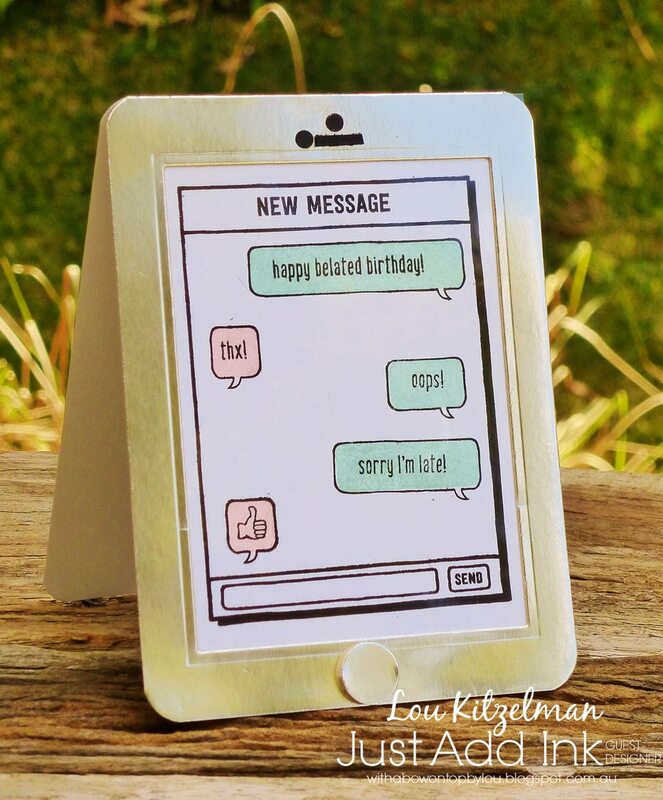 You can even make your own with acetate and any dies you own! 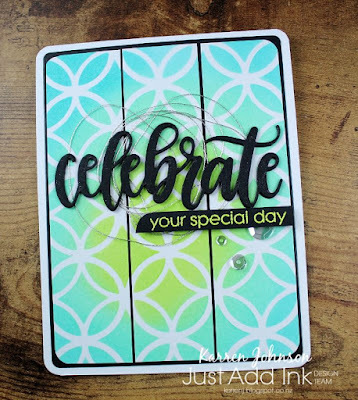 We look forward to seeing all of your stencil inspired creations. 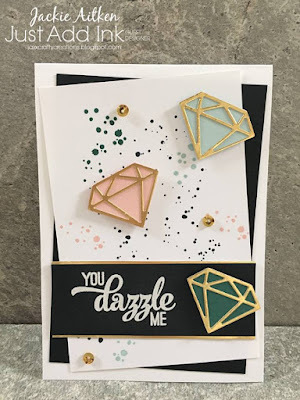 we had some lovely colours for the challenge last week and it was easy to see that you all loved them as much as the design team did, which made our job of picking a winner really tough! 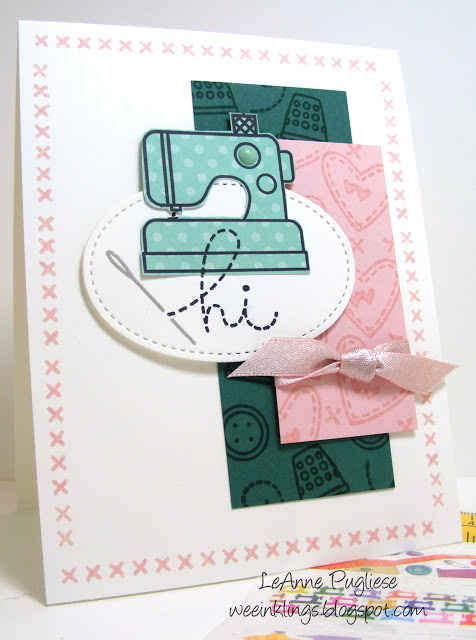 But pick a winner we did, and this week it is LeAnne for her adorable sewing themed card. 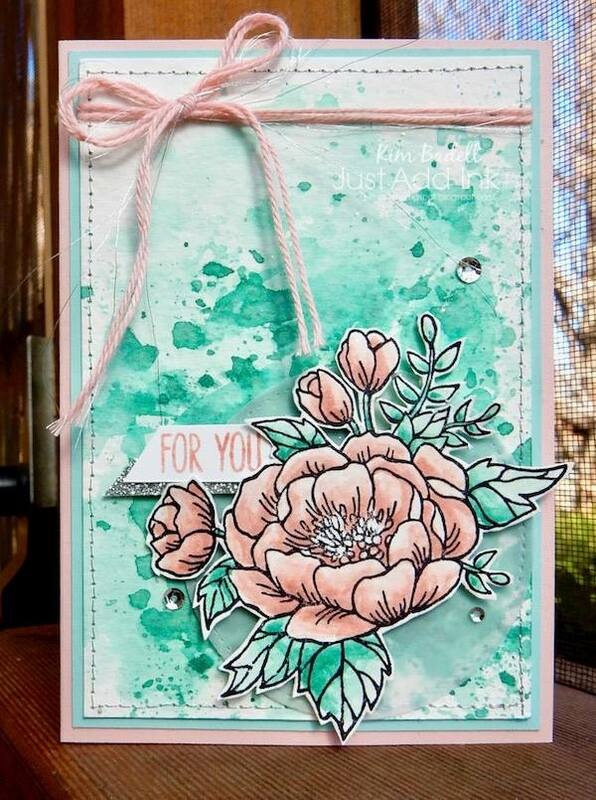 What a totally gorgeous themed card! 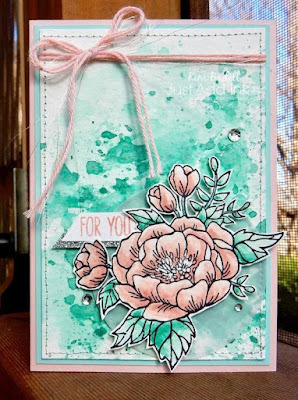 I adore all the details she has added. Loved the bold fresh use of challenge colours & fun theme & choice of elements. 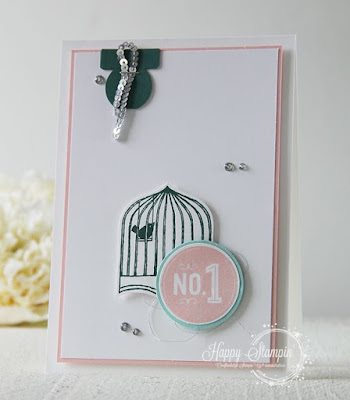 Clean and simple design, love the subtle colours with the silver accents. Such an elegant, pretty design. 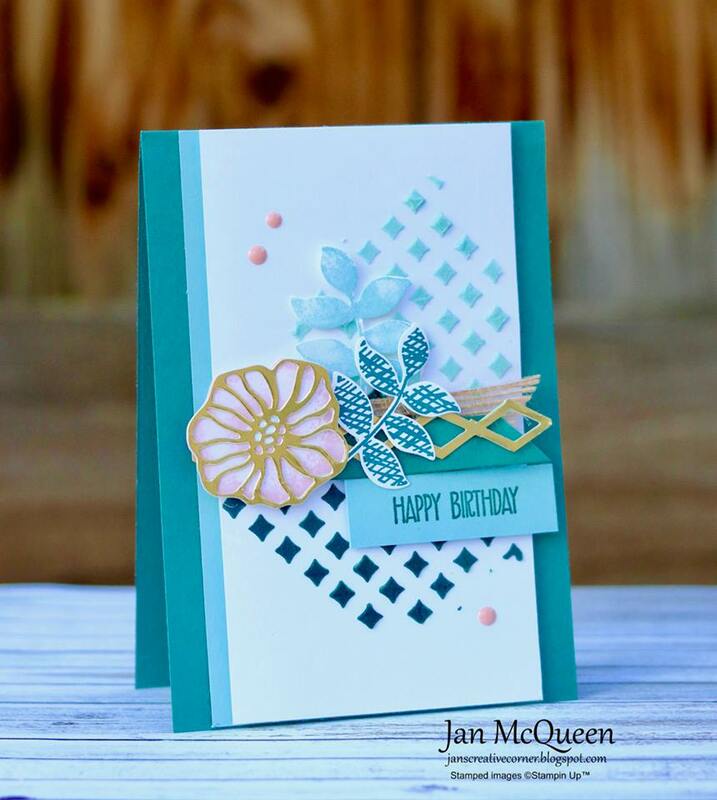 Such an elegant CAS design where every detail shines. 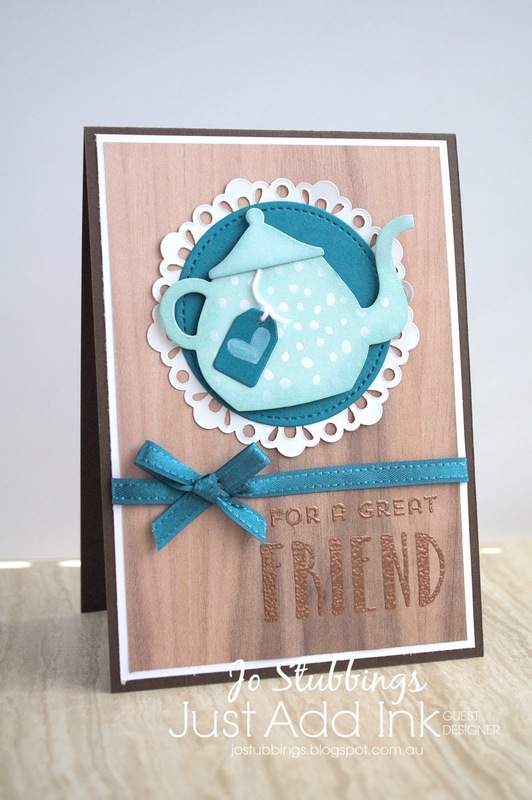 Great use of different textures and elements. 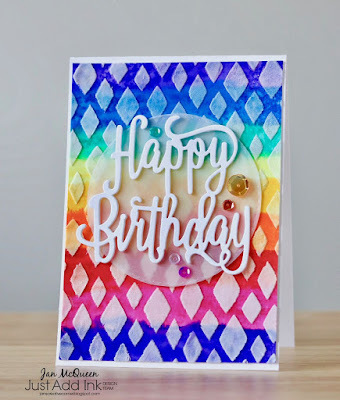 Her layers of colour and texture are simply stunning! Love how the intense colour accentuates the delicate flower. 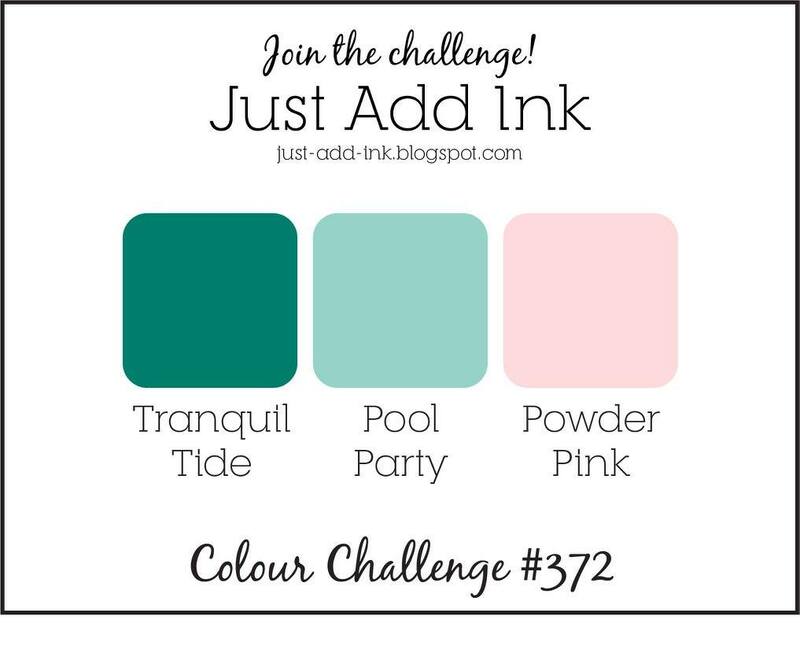 It's challenge time again and this week we have a pretty colour combination for you including two of the lovely new In Colours, Tranquil Tide & Powder Pink. Don't forget you can add Neutrals and Metallics to create a variety of colour palettes. We hope you can join in, link up and share your project with us. 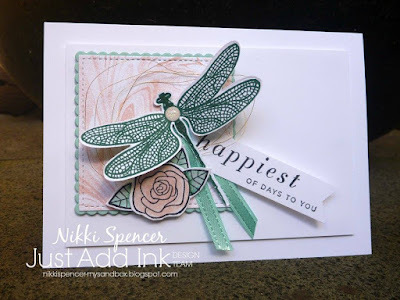 Just Add Ink #371..."Just Choose Two"